In a time where we are all more environmentally conscious than ever before, it's always good to try and incorporate more organic and natural products into your life in any aspect. 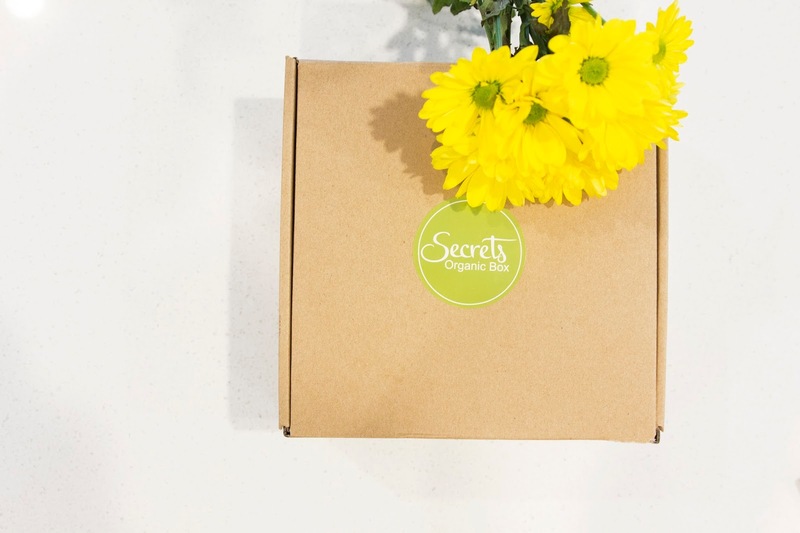 That's where a subscription service like Secrets Organic Box can come in handy. It can be hard to find purely organic things in store, and some of us don't have time to browse around online searching for the right products. 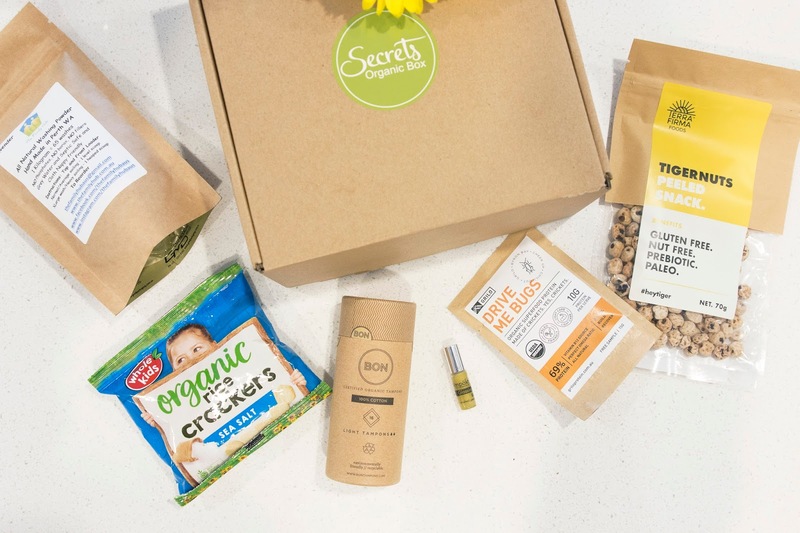 With Secrets Organic Box you can have organic products delivered right to your door without any work on your part except siging up. 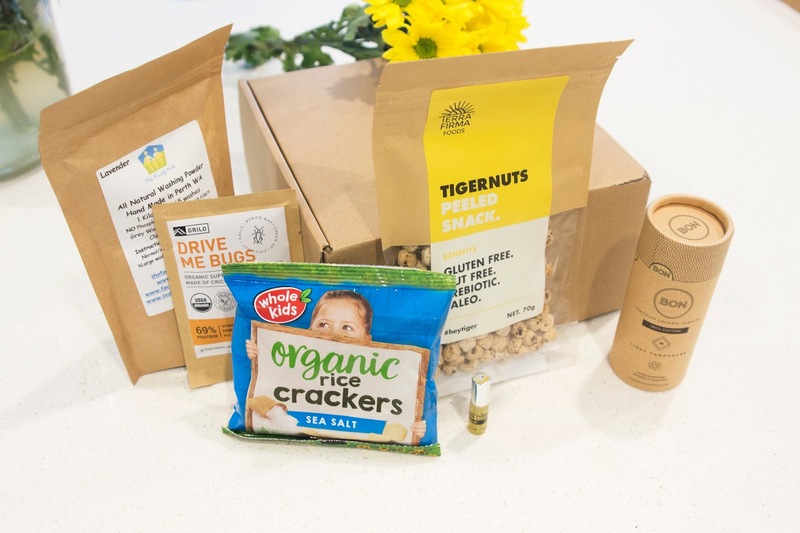 The lovely people from Secrets Organic Box sent me their latest March edition and I wanted to share it with you so you can know what sort of goodies to expect from them. Ladies, we can't help that every month we have to bleed out while wanting to eat everything and hating everyone, but we can being environmentally friendly during that time. These BON tampons are a way to do that. These are completely organic, made from 100% cotton, and yet still highly absorbent. They are also packaged in a very stylish and deceiving way, so id ever the packet of them fall onto the ground, no one will really know what it is. The packet might seem to be targeting the littler members of society, but we all know adults are just big kids, so these are perfectly fine for us to. We all snack throughout the day, so why not make sure you're snacking on something that isn't chocolate or lollies and throw some of these in your bag. Another healthy snack option to keep you fuelled throughout the day. This company has many snack options, but the ones in particular I received were these peeled tigernuts. If you're over eating your usual peanuts or almonds, or maybe you have a nut allergy and feel like you're missing out, these are your answer. 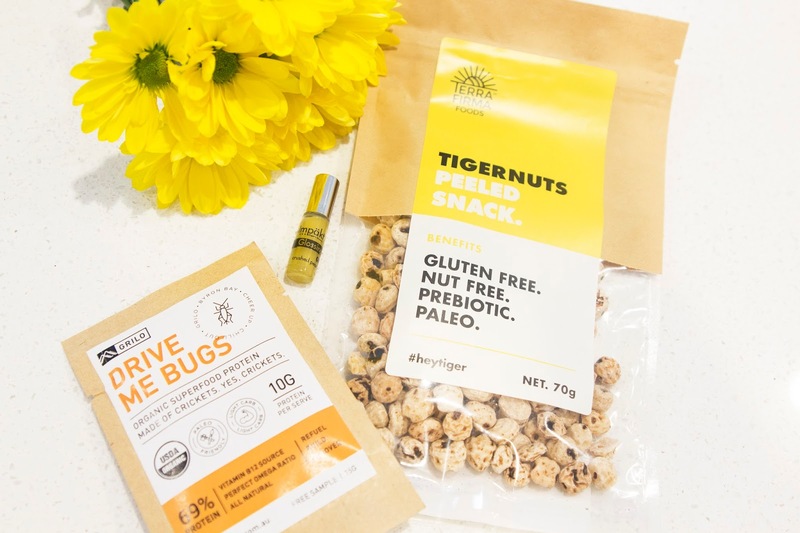 Tigernuts are gluten, nut and allergen free and have a nutty, yet also sweet flavour to them. They're also full of plenty of good stuff including fibre, potassium, calcium, iron, Vitamin E and more. Yep, I was as taken aback as you when I first read what this was. I'm not sure how I feel about it, and I'm yet to try it out, but this stuff is an organic protein powder that is made from crickets. Crickets are made up of 69% protein, as well as full of plenty of amino acids, minerals and vitamins. While they certainly seem good for you, and this is certainly a more organic way to get your added protein, I'm not sure this is something I'd think to purchase in the future. I'll have to check back in once I try it out. Another place in your home where you can switch to organic products is your laundry. Particularly if you or someone in your household suffers from skin irritations or sensitive skin, going natural with your washing choices can dramatically improve their conditions. This powder in particular is free from sulphates, phosphate or any other unnecessary and nasty fillers. No matter what your washing set up, this stuff is the perfect option for getting your clothes squeaky clean while not hurting our previous Mother Nature. With winter almost upon us, tis' the season for dry lips, and this stuff can save you. Full of completely organic ingredients, this stuff will not only give your lips an awesome moisture boost, it will also increase their volume.